Camping is an extremely exciting prospect for those who have never done it before, and for those who have and are planning their next trip, it makes the daily grind go that little bit quicker. Getting away from it all and heading out into the country on an adventure is something that on some level appeals to all of us. With camping becoming a much more popular vacation choice in recent years many of those new to it will be tempted to buy the first nylon tent they see. 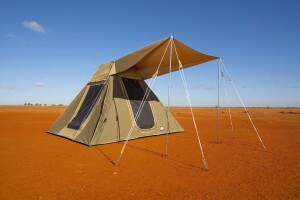 At Southern Cross Canvas we have canvas tents for sale in Melbourne, which are a tried and tested better option for those who wish to get the best bang for their buck. While nylon is lighter, it does not come close to offering the longevity, durability and quality of a canvas product. 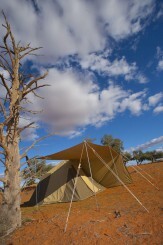 Here at Southern Cross Canvas, we design and make canvas tents that are renowned for being of the highest quality and manufacturing standards. 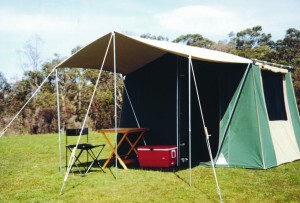 Our record speaks for itself, 35 years in business and customers regularly noting that the products they purchased from us are still serving them many years later – with some clocking over 30 years of camping in their Southern Cross Canvas tent. When you are planning your first camping excursion, or perhaps the first you will take with your family, or group of friends it is important to plan your route and a rough timetable so you know where you’re going and how to get there. At Southern Cross Canvas, we always recommend that our customers pitch their new canvas tent at least once at home before they leave, to familiarise themselves with the process, and save time when they arrive at their first destination. Seeing the tent up might prompt a few ideas in terms of other equipment you will need, and buying this ahead of time will make for a much more stress-free trip, and allow you to find the best bargains. Plan and pack for the weather you are expecting. You don’t want to be awake during the night because you’re cold, or soaked to the skin day-by-day because you didn’t think you would need a weatherproof jacket. Also, think about light sources. The campfire won’t illuminate things for very long once it goes down, so prepare for the dark. 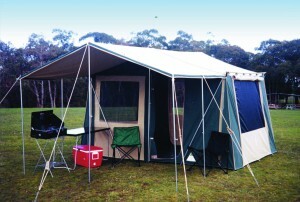 At Southern Cross Canvas, we are a family owned and operated company based in Bayswater North Victoria and our highly experienced, friendly staff is always on hand to help walk you through the different types of canvas tents and products we have in stock if you are new to camping. 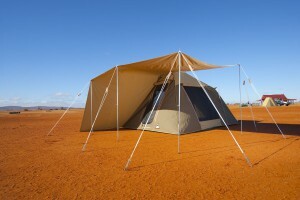 For those more experienced and looking for a custom canvas tent maker in Melbourne, no job is too big or too small and we will equip you with an innovative product that is built to last. 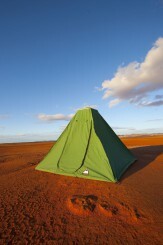 So, before you set out on that great adventure, look online at SouthernCrossCanvas.com.au, or drop into our store, where you will find high-quality canvas tents for sale that Melbourne adventurers have relied on for over three decades. 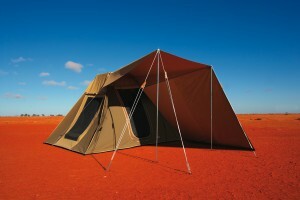 Southern Cross Canvas also offers high quality Swags, UTE Camping Canopies, Cabin Tents, Camper Trailer Tents, Canvas Annex & many more Australian made canvas products at best prices. You can get in touch with us today by giving us a call or sending a message through our website. We’ll get straight back to you. Feel free to learn more about our products by visiting our website. You can then make your purchase via the website or give us a call if you have any questions – we love to talk with our customers and discuss how our swags can help them!